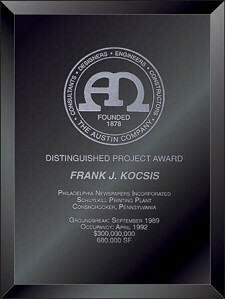 Recognize excellence with a glass plaque from us! Glass plaques are a great alternative to the traditional wood and metal plaques. They are sleek and elegant and can be engraved directly on. Call or email us today for information on your ideal glass plaque!